Travels on Semirechye in Southern Kazakhstan. 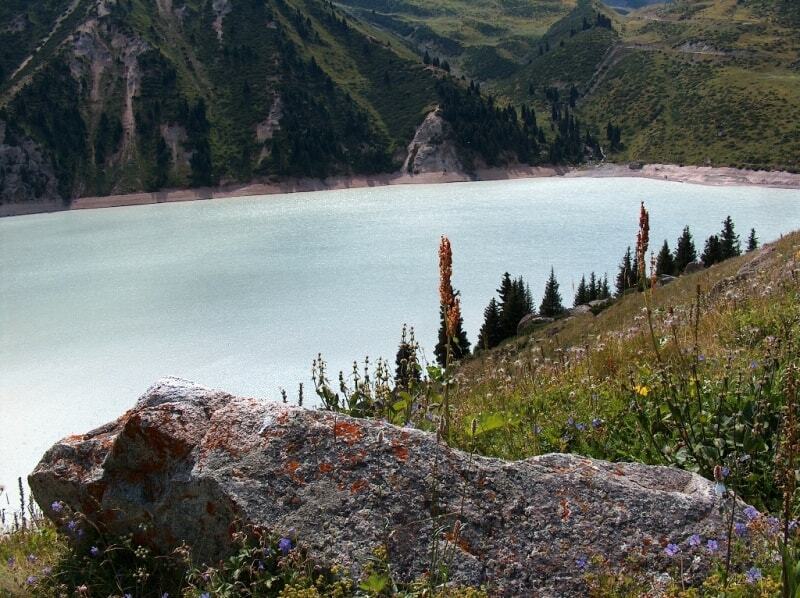 Home » Almaty province nature. Tours and excursions in Semirechye - Zhetysu of nature. 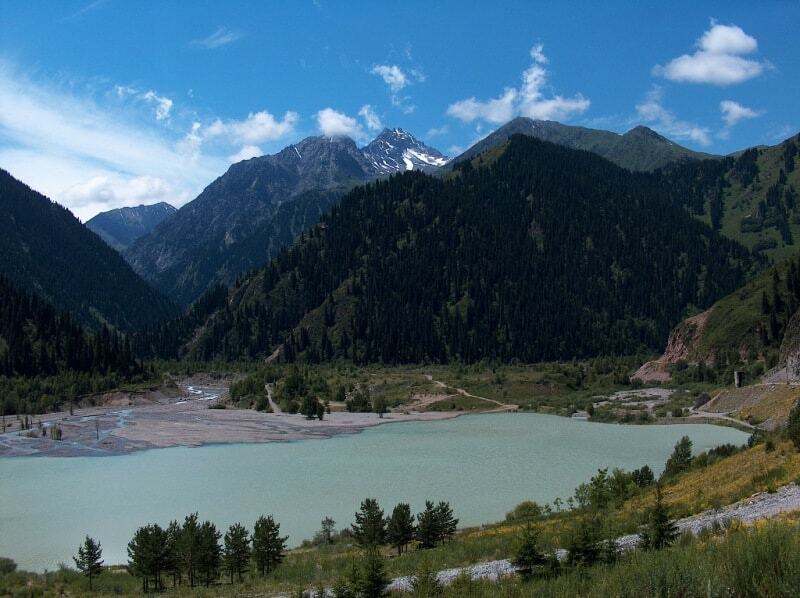 Tours to Semirechye in Almaty of province. The area between Almaty and Lake Balkhash is historically known as the .«land of seven rivers» (Zhetysu in Kazakh, Semirechye in Russian). It is one of the most varied and interesting regions in Kazakhstan. The largest of the rivers, the Ili, flows west out of China, forming the Kapchagai reservoir and feeding into the Lake Balkhash in the north. The other six rivers and some 800 mountain streams flow south from the Zailiiskiy Ala-Tau ountains and north-east from the Jungar Alatau. The Zailiiskiy Ala-Tau is the most northerly ridge of the Tien Shan mountain range. The area as named Zaili (meaning «beond the river Ili) by early explorers. Its beauty is unique and deeply individual, combining majestic mountains and peranent glaciers, mighty gorgs, forests, Alpine meadows and endless steppe. The ancient aravan гоше passed through the famous «Jungar Gates». The Jungar Alatau is the mountain ridge which runs along the Kazakhstan-Chinese border, passing near the city of Taldykorgan. Неге you will find little-climbed mountains of up to 4,665 metres, stunning water- falls and rushing mountain streams. What makes tourism around А1тагу во exotic is that the traveller can experience five climate zones in а single day or even а few hours. Few countries can offer suhc climatic extremes - from scorching deserts and semi-desert (600 metres below sea level) to year-round glaciers (4,000 - 5,000 metres). Because of the region's varied landscape, all sorts of ехcursions are possible, from four-hour tours of the Almaty region to risky expeditions covering many destinations in Kazakhstan and Сепггаl Asia. Th best time for travelling is May to October. "Zhetysu is the Land of tourism”. A Tourist Guide-book. Almaty. 2003. 68 p. and the material for this page is taken from the printed edition."